Manchester City boss Pep Guardiola has revealed that defender Benjamin Mendy could be out for up to three months following knee surgery. The Frenchman underwent the operation in Barcelona to fix a troublesome knee injury and will now take between 10 to 12 weeks to make a recovery, according to Guardiola. 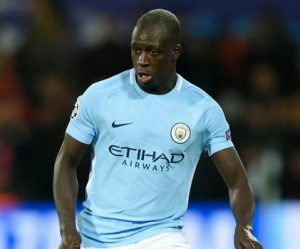 The injury is the latest blow in what has been an injury-ravaged 18 months for Mendy since his arrival at Manchester City from Monaco. He missed the majority of last season having suffered a cruciate ligament injury that kept him out for approximately six months. He has also already missed six games of the current campaign due to a foot injury. Despite that, he has been impressive; racking up five assists in only nine Premier League appearances so far. Guardiola’s City are clear favourites to earn three points as they travel to the capital this weekend with odds of 1/4 available with BetVictor. Meanwhile, Manuel Pellegrini will be aiming to earn three points over his former employers and can be backed at 12/1 to do just that. Do Man City really need to buy a Benjamin Mendy replacement in January?